Nicholas Royle is the author of First Novel, as well as six earlier novels, and a short story collection, Mortality. He has edited nineteen anthologies and is series editor of Best British Short Stories (Salt). 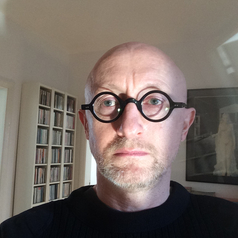 A senior lecturer in creative writing at the Manchester Writing School at MMU, he also runs Nightjar Press and is an editor at Salt Publishing.